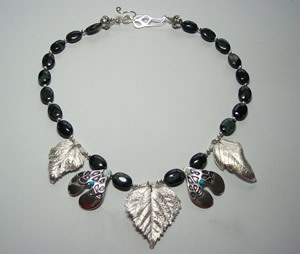 Description: Fine Silver leaves on a string of green beads made of Kambaba Jasper. Kambaba Jasper is an exotic looking stone from Africa, which has a green background with dark spots. 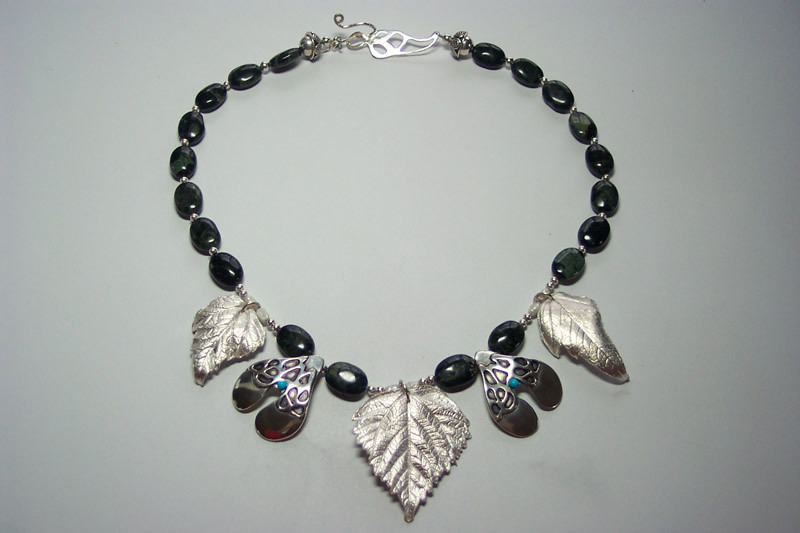 The leaves are made of fine silver, and the abstract seeds are sterling silver with small turquoise stones. My handmade clasp in the shape of a leaf, holds this beautiful necklace in place.